The nation’s first Sikh attorney general has taken part in dozens of actions against the Trump Administration. A kinder, gentler man with the understanding of a giant I had not met. He had done so much to change the face our region. 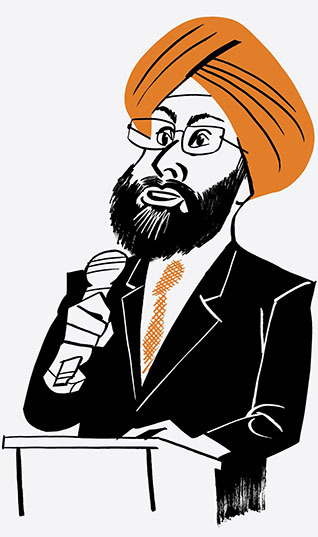 The history of Sikhs in the North American trucking industry goes back several decades. I am a Methodist, so religious diversity starts at home for us. "Don't worry. I'm a Sikh man. I am honest." He has been a close advisor to his older brother, Jagmeet Singh, through his entire political career. First Asian woman to serve as a High Court judge in the United Kingdom. She led a march to parliament on November 18, 1910, with Emmeline Pankhurst.